Duncan J. McNabb was born on 8 August 1952 at Shaw Field, SC. McNabb graduated from the U.S. Air Force Academy in 1974. He has held command and staff positions at squadron, group, wing, major command and Department of Defense levels. During Operation Desert Shield and Operation Desert Storm, General McNabb commanded the 41st Military Airlift Squadron, which earned Military Airlift Command's Airlift Squadron of the Year in 1990. He commanded the 89th Operations Group, overseeing the air transportation of our nation's leaders, including the President, Vice President, Secretary of State and Secretary of Defense. He then served as Commander of the 62nd Airlift Wing. The Wing's performance in 1996 earned the Riverside Trophy as the 15th Air Force's outstanding Wing. He also commanded the Tanker Airlift Control Center where he planned, scheduled and directed a fleet of more than 1,400 aircraft in support of combat delivery and strategic airlift, air refueling and aeromedical operations around the world. McNabb's staff assignments have been a variety of planning, programming and logistical duties. These include serving as the Deputy Chief of Staff for Plans and Programs on the Air Staff and Chairman of the Air Force Board having oversight of all Air Force programs. He also served as the Director for Logistics on the Joint Staff where he was responsible for operational logistics and strategic mobility support to the Chairman of the Joint Chiefs of Staff and the Secretary of Defense. 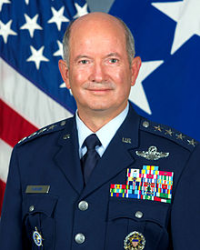 On 1 December 2005, McNabb was promoted to the four-star rank of General and assigned as Commander, Air Mobility Command, Scott AFB, IL, where he led 134,000 total force Airmen in providing rapid global mobility, aerial refueling, special airlift and aeromedical evacuation for America's armed forces. From September 2007 to September 2008, he served as Vice Chief of Staff, Headquarters U.S. Air Force in Washington. On 5 September 2008, he assumed his current assignment as the 9th and current Commander, U.S. Transportation Command. General McNabb will retire effective 30 November 2011 after over 37 years of service. A Command Pilot, he has amassed over 5,400 flying hours in these transport and rotary wing aircraft: T-37, T-38, C-141, C-17, C-21, C-20 and UH-1N. 1. June 1974 - May 1975, student, undergraduate navigator training, Mather AFB, CA. 2. August 1975 - April 1978, Instructor Navigator, 14th Military Airlift Squadron, Norton AFB, CA. 3. April 1978 - April 1979, Airlift Director, 63rd Military Airlift Wing, Norton AFB, CA. 4. April 1979 - April 1980, student, undergraduate pilot training, Williams AFB, AZ. 5. August 1980 - August 1983, Instructor Pilot and Chief Pilot, 14th Military Airlift Squadron, Norton AFB. 6. August 1983 - July 1984, General's Aide, Air Force Inspection and Safety Center, Norton AFB. 7. July 1984 - June 1986, Chief, Plans Integration Branch, Headquarters Military Airlift Command, Scott AFB, IL. 8. June 1986 - June 1988, Aide to the Commander, U.S. Transportation Command and Military Airlift Command, Scott AFB, IL. 9. June 1988 - November 1990, Chief Pilot, later, Operations Officer, 17th Military Airlift Squadron, Charleston AFB, SC. 10. November 1990 - January 1992, Commander, 41st Military Airlift Squadron, Charleston AFB. 11. January 1992 - August 1992, Deputy Group Commander, 437th Operations Group, Charleston AFB. 12. August 1992 - June 1993, student, Industrial College of the Armed Forces, Fort Lesley J. McNair, Washington. 13. July 1993 - June 1995, Chief, Logistics Readiness Center, the Joint Staff, Washington. 15. July 1996 - July 1997, Commander, 62nd Airlift Wing, McChord AFB, WA. 16. August 1997 - June 1999, Commander, Tanker Airlift Control Center, Headquarters Air Mobility Command, Scott AFB, IL. 17. June 1999 - December 1999, Deputy Director of Programs, Office of the Deputy Chief of Staff for Plans and Programs, Headquarters U.S. Air Force, Washington. 18. December 1999 - April 2002, Director of Programs, Office of the Deputy Chief of Staff for Plans and Programs, Headquarters U.S. Air Force, Washington. 19. April 2002 - July 2004, Deputy Chief of Staff for Plans and Programs, Headquarters U.S. Air Force, Washington. 20. 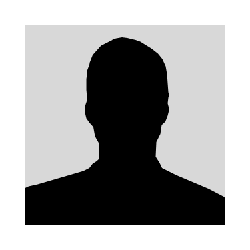 August 2004 - October 2005, Director for Logistics, the Joint Staff, Washington. 21. October 2005 - September 2007, Commander, Headquarters Air Mobility Command, Scott AFB. 22. September 2007 - September 2008, Vice Chief of Staff, Headquarters U.S. Air Force, Washington. 23. September 2008 - present, Commander, U.S. Transportation Command, Scott AFB. 1. June 1986 - June 1988, Aide to the Commander, U.S. Transportation Command and Military Airlift Command, Scott AFB, as a Major. 2. 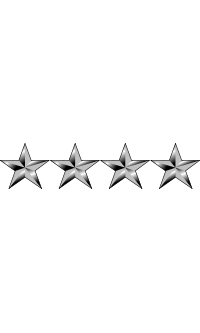 July 1993 - June 1995, Chief, Logistics Readiness Center, the Joint Staff, Washington, as a Colonel. 3. August 2004 - October 2005, Director for Logistics, the Joint Staff, Washington, as a Lieutenant General. 4. September 2008 - present, Commander, U.S. Transportation Command, Scott AFB, IL, as a General.